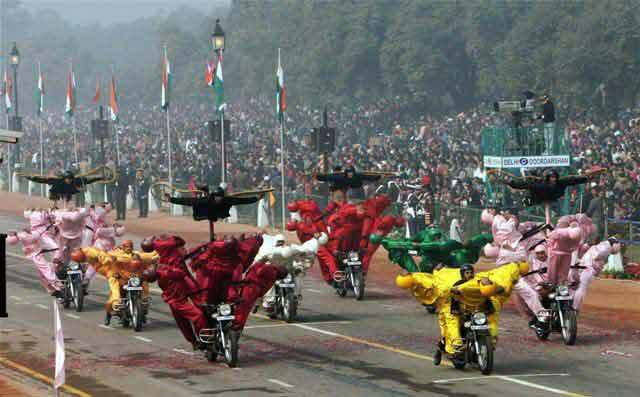 Daredevils presenting a show during the 61st Republic Day function at Rajpath in New Delhi. 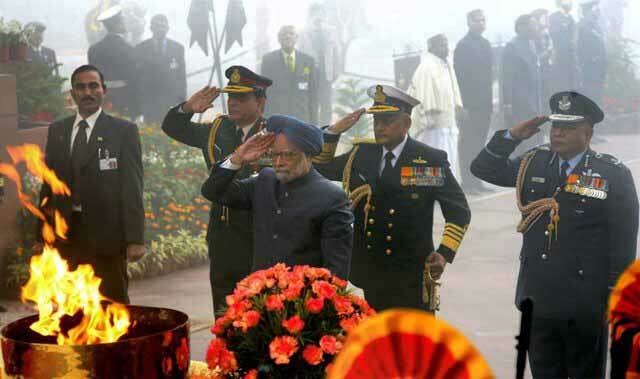 Prime Minister Manmohan Singh along with three services chiefs paying homage to the soldiers at Amar Jawan Jyoti on the occasion of Republic Day in New Delhi. 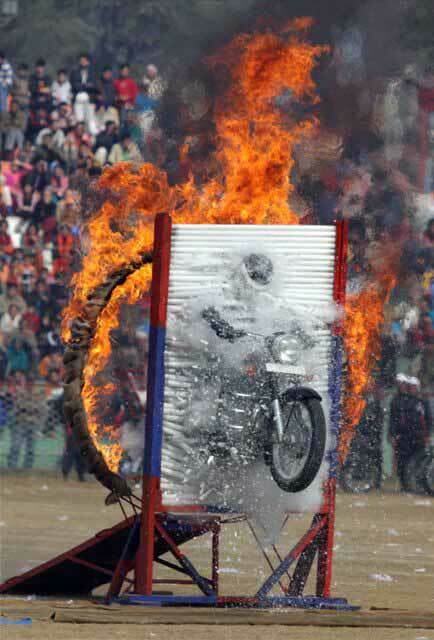 BSF daredevils presenting a show during the 61st Republic Day function. 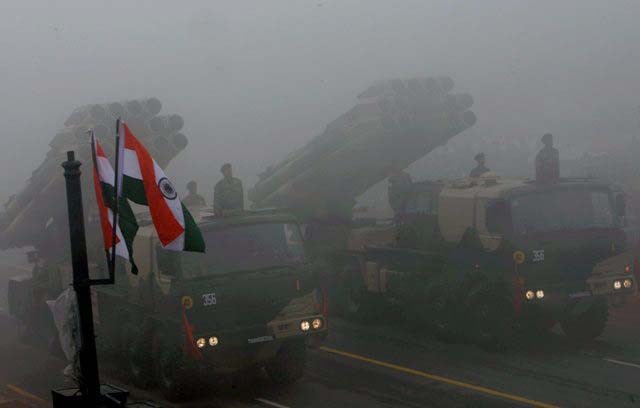 Rocket launchers, amids fog, moves past the saluting base during the 61st Republic Day function at Rajpath. 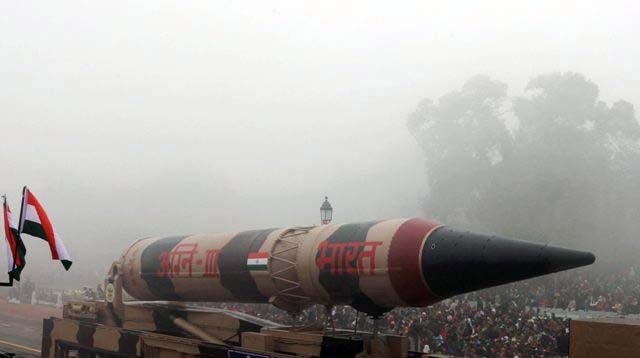 Intermediate-range ballistic missile Agni-III, seen amids fog, during the 61st Republic Day function. 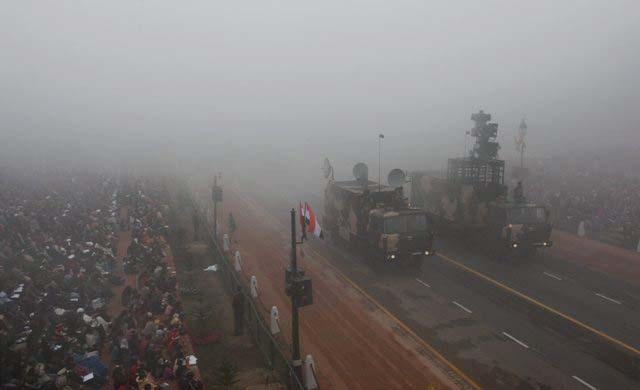 Combat Vehicle of the Army, amids fog, move past the saluting base during the 61st Republic Day function at Rajpath. 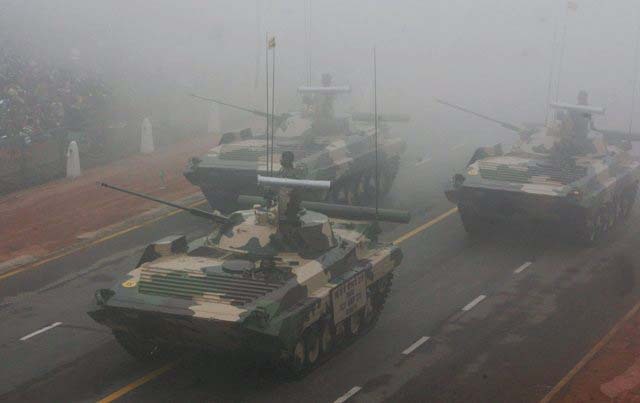 Indian Army's war system, amids fog, on display during the 61st Republic Day function. 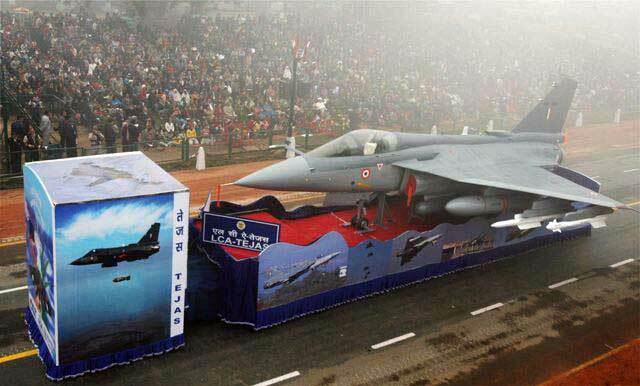 Indigenously designed and built Tejas light combat aircraft during the 61st Republic Day function. 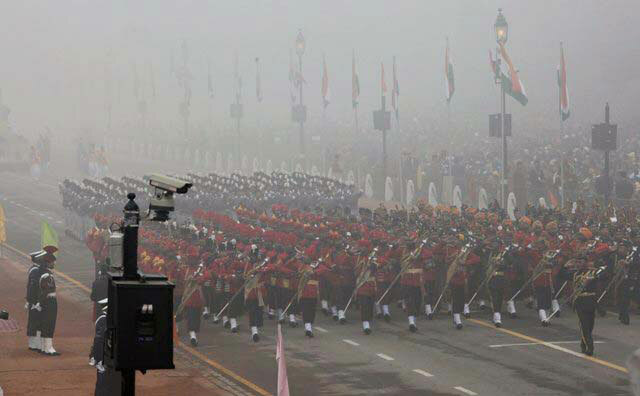 A band contingent moves past the saluting base during the 61st Republic Day function at Rajpath. 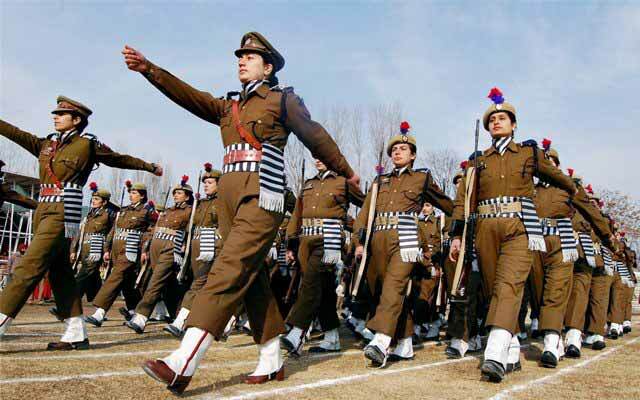 Jammu and Kashmir Armed Police (JKAP) women march during the Republic Day parade at the Bakshi stadium in Srinagar. 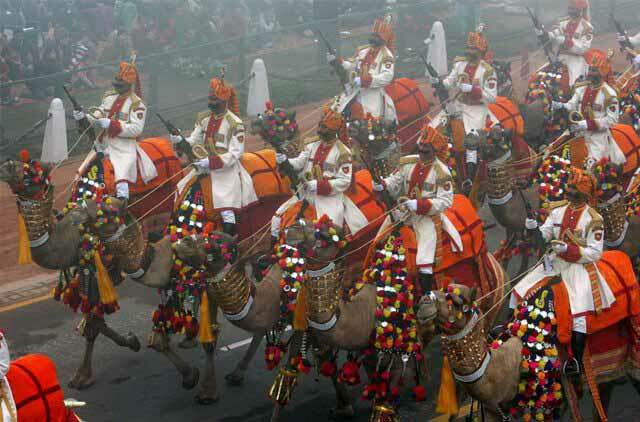 BSF's camel contingent marching during the 61st Republic Day function at Rajpath in New Delhi. 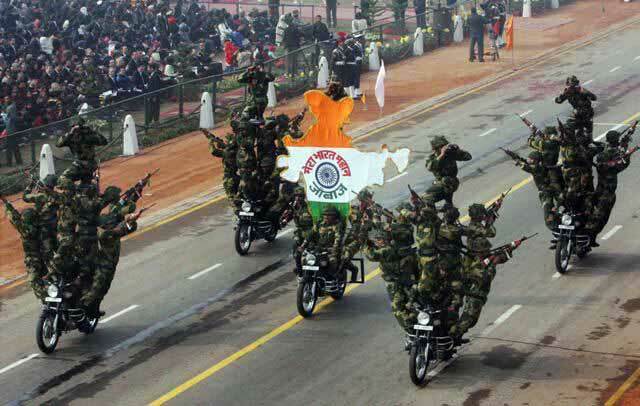 Daredevils presenting a show during the 61st Republic Day function at Rajpath. 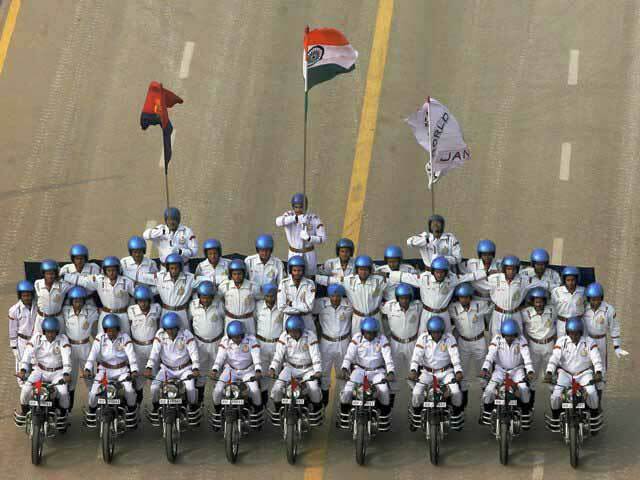 A daredevil of Jammu and Kashmir police presenting breathtaking stunt during the Republic Day celebrations at MAM Stadium in Jammu. 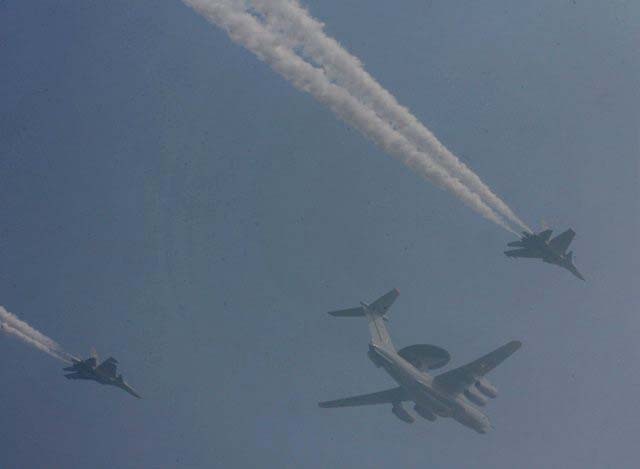 Two fighter planes flank AWACS to create a formation during the 61st Republic Day function. 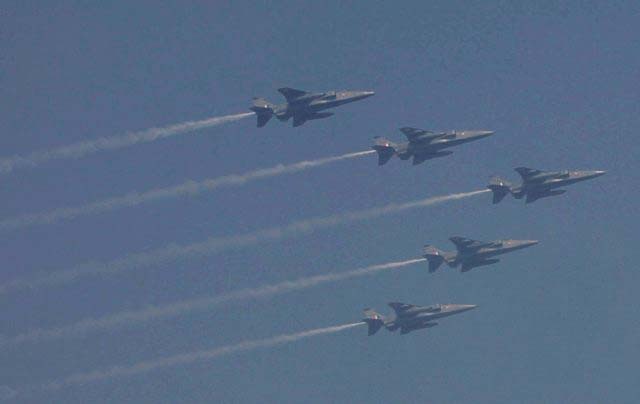 Jaguar aircraft of the IAF presenting an air show during the 61st Republic Day function at Rajpath in New Delhi. 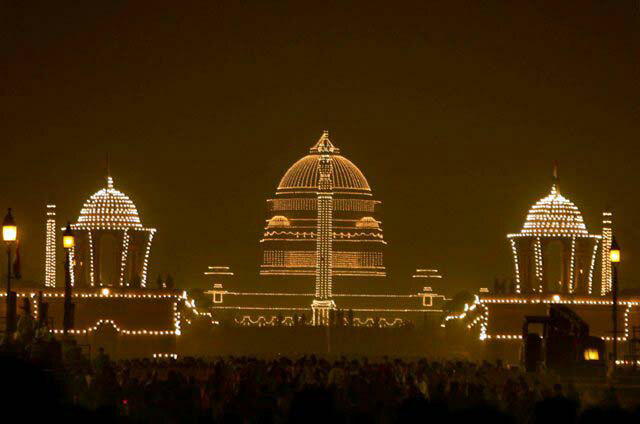 Illuminated President and other government buildings as part of Republic Day celebrations in New Delhi. 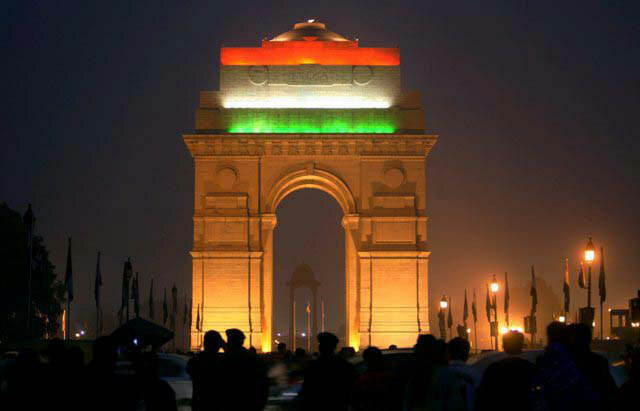 Lighting at India Gate on the occasion of Republic Day in New Delhi.